REGISTRATION IS CLOSED FOR 2016. 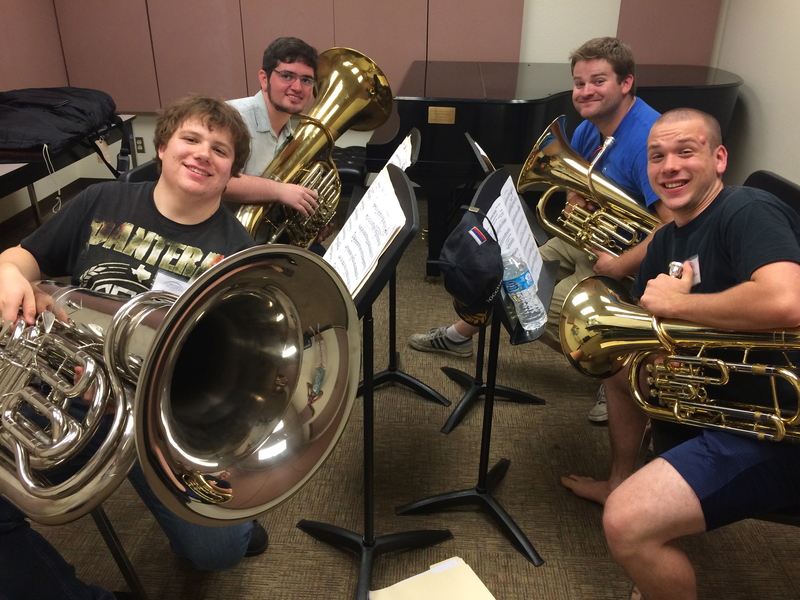 Calling all tuba and euphonium players! Join us for 3 days of chamber music, master classes, ensemble coachings, faculty artist concerts, and community performance. TUITION – $210 plus individual cost for travel or hotel, and meals. 2:00pm Concert in the Community – TBD – (quartets and mass ensemble) – free and open to the public. “The Graduate Hotel” in Tempe– directly across the street from the Music building. Super 8 in Tempe on Apache Blvd.– about two miles from the music building. Rides can be arranged, if needed. Four Points Sheraton – Tempe on Rural Rd. About 1.5 miles from music building. Rides can be arranged. 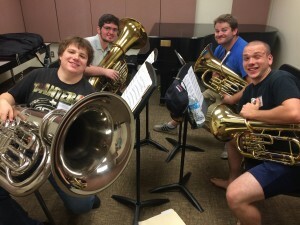 Dr. Alexander Lapins teaches tuba and euphonium at the University of Tennessee, Knoxville. 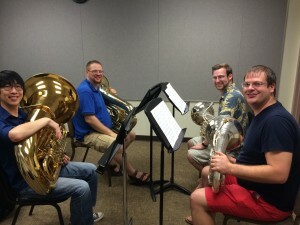 Previously, he served on the faculty of Northern Arizona University where he taught applied tuba and euphonium, chamber music, brass methods, history of rock music, and was a member of the Elden Brass Quintet. During the summer he serves as an instructor at the Blue Lake Fine Arts Camp. Prior to his tenure at NAU, Dr. Lapins taught at the University of Indianapolis, Indiana State University, Indiana University, University of Michigan All-State Program at Interlochen, Detroit Symphony Civic Orchestra, and French Woods Fine Arts Camp. Dr. Lapins has appeared as soloist with orchestras, concert bands and chamber groups. He has performed and given master classes throughout the United States, China, South America and Europe. A diverse performer, Dr. Lapins is the only tubist to have won fellowships at both the Tanglewood Music Center and the Henry Mancini Institute. 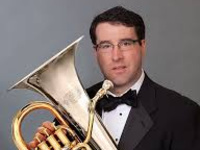 As an orchestral musician, Dr. Lapins performed as a Principal Tuba of several professional orchestras and brass quintets throughout Indiana, and was a first-call substitute/extra musician with the Indianapolis Symphony Orchestra and Indianapolis Chamber Orchestra. He has also performed with the Charleston Symphony Orchestra, Chicago Symphony Orchestra, Cincinnati Symphony Orchestra, Cincinnati Opera Orchestra and the Flagstaff Symphony Orchestra. Dr. Lapins has also performed with the the Disney Collegiate All-Star Band, the Guy Lombardo Orchestra, the New Sousa Band and Harvey Phillips’ Tubacompany. Dr. Lapins has extensive experience as a first-call studio musician. He can be heard on hundreds of recordings for Hal Leonard, Warner Brothers, Disney, Plank Road, Sacred Music Services, the Indianapolis Symphonic Choir, SMS Brass Choir, and a variety of other record and publishing companies. 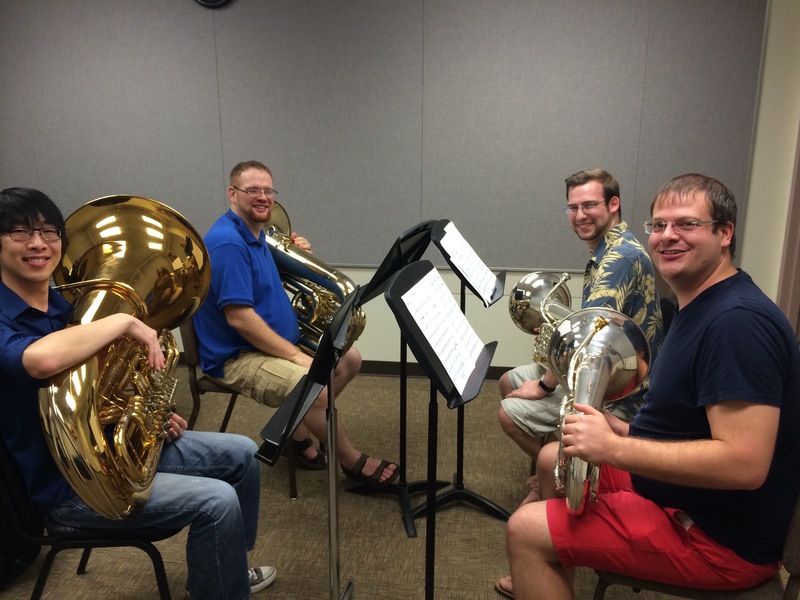 Alexander Lapins, is devoted to expanding the repertoire of the tuba across all genres. He recently recorded a solo album of his own baroque transcriptions with harpsichord and strings that will be released in early 2013. An avid supporter of new music, Alexander has premiered dozens of new works and has been active in regularly commissioning new works for brass. Dr. Lapins has been featured at regional and international ITEA conferences and United States Army Band Tuba Conferences, and the 2012 International Women’s Brass Conference. 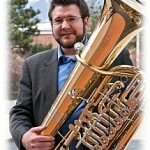 In 2011 he hosted the Southwest Regional ITEA conference at the NAU School of Music. Alexander has graduate degrees in music performance from the Jacobs School of Music at Indiana University and the University of Michigan, and a Bachelor’s degree in Music Industry from James Madison University. His principal teachers include Daniel Perantoni, Fritz Kaenzig, Kevin Stees, Tony Kniffen and Mike Bunn. 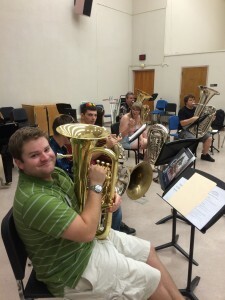 He is a member of the International Tuba/Euphonium Association, a regular contributor to the ITEA Journal, and an honorary member of Kappa Kappa Psi. Alexander Lapins is a Miraphone Artist. Dr. Deanna Swoboda is Assistant Professor of Music at Arizona State University, where she teaches tuba and euphonium, entrepreneurship, and coaches chamber music. She has enjoyed a vibrant career as a performer, educator, and entrepreneur. As a performer she played tuba with the internationally recognized Dallas Brass and performed hundreds of solo recitals throughout the United States and Europe, including solos and presentations with the United States Army String Orchestra, the Deutsches Tubaforum, the National Conservatory of Madrid, the Porto Portugal Higher School for the Arts Conservatory and St. Petersburg Conservatory. 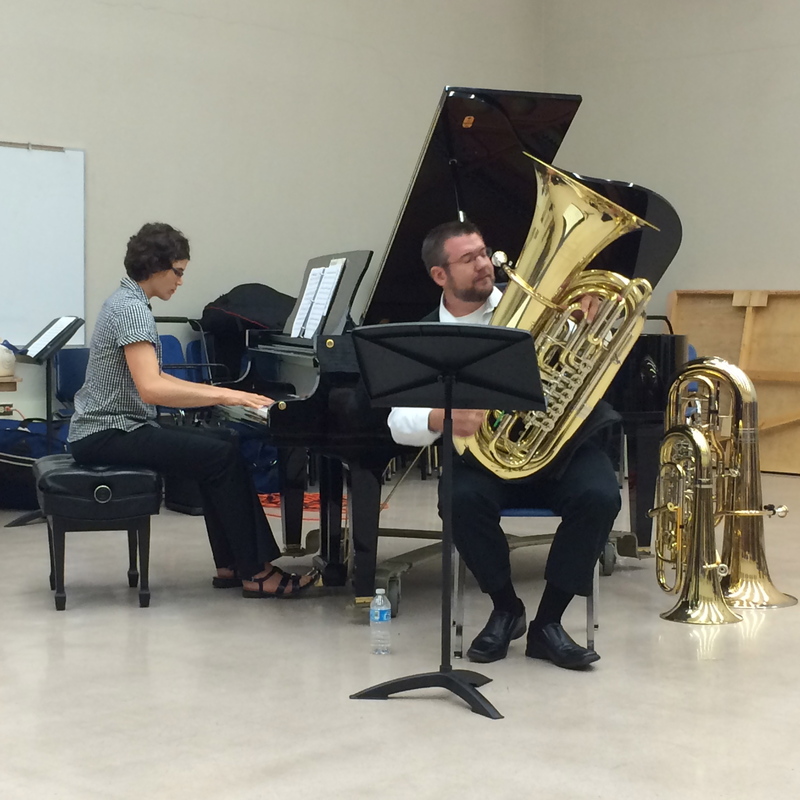 Prior to her appointment at Arizona State University, she served on the faculty at Western Michigan University where she performed with the Western Brass Quintet, taught tuba and euphonium, developed music and entrepreneurship programs, and coached chamber music. In 2005, Deanna Swoboda and hornist, Lin Foulk, formed TubaCOR, an ensemble dedicated to commissioning new works for tuba and horn by women composers. Deanna Swoboda is the creator and performer of a band recruitment presentation and DVD called “Band Blast Off.” She has performed hundreds of concerts and presentations around the US, supporting and enhancing public school music programs. 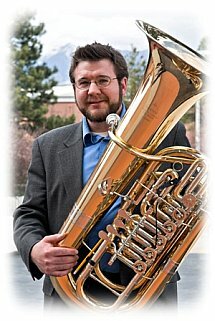 As an international clinician, solo performer, and advocate for music education, Dr. Swoboda has presented and performed at prestigious conferences and meetings such as the International Tuba-Euphonium Conferences (ITEC’s), United States Army Band Tuba-Euphonium Conferences, numerous national and regional Music Educator Conventions including Midwest Band and Orchestra Clinic, Texas Music Educator Association, Arizona Music Educator Association, Minnesota Music Educators, Oklahoma Music Educators, Maine Music Educators, Kansas Band Masters, as well as the International Women’s Brass Conference. In addition, she has been featured as a guest on the CBS Early Morning Show – with the Dallas Brass, National Public Radio, and BBC radio in London. Deanna has also performed with groups such as the Denver Brass, the Monarch Brass, Cedar Rapids Symphony, Kalamazoo Symphony and Grand Rapids Symphony. She served as Director of Education for the Denver Brass and also taught at University of Idaho, University of Nevada Las Vegas, and University of Northern Iowa. 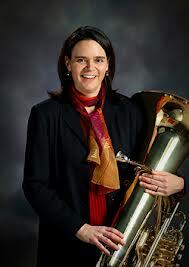 Dr. Swoboda’s recordings include, Deanna’s Wonderland (Summit), Shamanic Journey (Potenza), and Games for Brass (Summit). 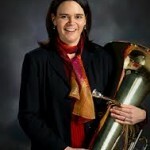 She currently serves as a Past President for the International Tuba Euphonium Association, is a board member for the International Leonard Falcone Festival, and is a Miraphone tuba artist. She is a proud Patroness member of and Advisor for ASU Sigma Alpha Iota and a fraternity member of Kappa Kappa Psi. 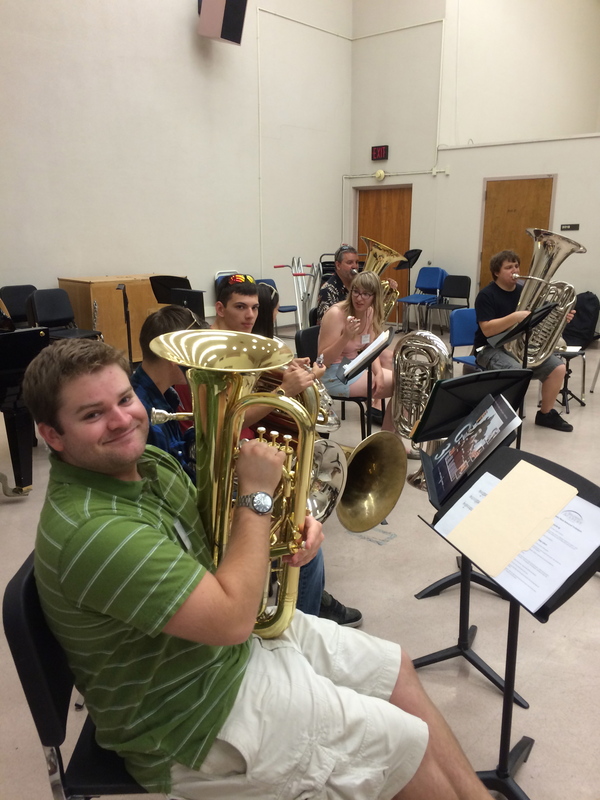 Matt Tropman currently serves as tuba/euphonium instructor at the University of Arizona and is an active freelancer, soloist and chamber musician in California and beyond. As a former member of the U.S. Marine Band (President’s Own), he frequently performed as a soloist throughout the United States, including at the White House. He has also performed with numerous bands, orchestras and chamber groups such as the San Francisco Symphony and the Detroit Symphony orchestras.